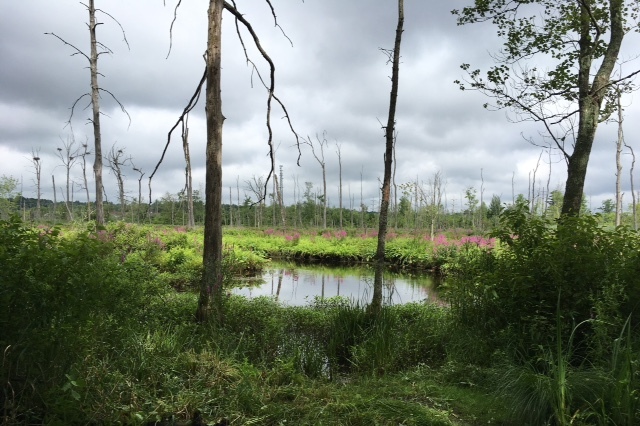 The ~33 acre Ballston Creek Preserve in the Town of Ballston contains approximately 1 mile of rugged trails, and is best known for its incredible views overlooking a Great Blue Heron rookery. 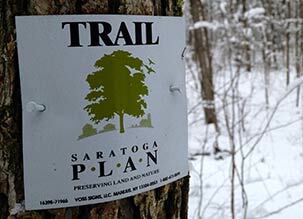 In 2005, the Peterson family donated this preserve to Saratoga PLAN so that the land would always remain a sanctuary for wildlife and wildlife enthusiasts alike. The Petersons cared for the property since 1955, and used the land solely for passive recreation. Prior to 1955, the property had been an active farm with fields used for both crops and grazing. These old farm fields have now re-grown into a beautiful mixed forest of conifer and hardwoods, while occasional older growth trees can still be found along several old rock walls that cross the property. The land is mostly flat, with a total change in elevation of about 30 feet. This property is an important link in the Ballston Creek Valley Greenway and Wildlife Corridor, and lies just northwest of Shenentaha Park in the Town of Malta. Shenentaha Park not only provides parking areas for those interested in visiting the Ballston Creek Preserve, but also offers a great connection point to the countywide multi-use Zim Smith Trail. The trails at the Ballston Creek Preserve can get fairly wet, especially in early spring, and appropriate footwear is recommended. From Saratoga Springs: Take Route 50 south (Ballston Ave.) toward Ballston Spa for about 6 miles. Go through the village and turn left at the top of the hill onto East High Street (NY-67). Go about 1 mile, through the stoplight, and turn right onto East Line Road (aka Route 82). From I-87: Take Exit 12. From 87 North, turn right onto Route 67. From 87 South, turn left. Drive approximately 1.5 miles and turn left onto Eastline Road (aka Route 82). Follow directions above from here. 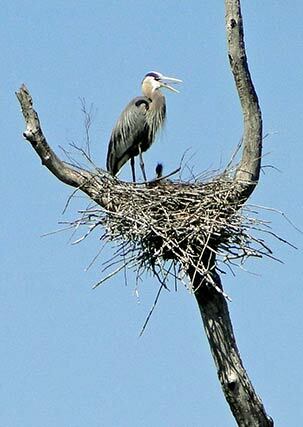 The Great Blue Heron is the largest North American heron, and is commonly found near the shores of open water and wetlands throughout most of the continent.